Custom fields can be associated with one another, and set to be enabled only when a particular option/value from a custom field is selected. The most important thing to note is that, parent and child association between custom fields is only possible when the parent custom field is of a dropdown type. 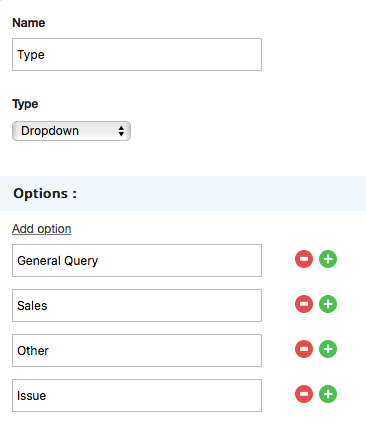 The option to set a custom field to depend on another custom field, will only appear if you have atleast one dropdown type field created. This is applicable to both ticket custom fields and contact custom fields. Furthermore, you also have the option to have set your child custom field as the parent of another custom field. In other words, there is no limit on the levels of dependency you can set between custom fields. Example: A, B, and C are three custom fields. They can be created such that C depends on B, and B depends on A. The only catch is that you'd have to create each custom field separately. Let's say you have a ticket custom field called "Type" to record information, and have further classifications for each option. Since this is the first dropdown custom field being created, and there isn't one already, you wouldn't be seeing the "Depends on" field. Note: The custom fields that will be depending on this custom field, can only be associated to the same categories, as this one. That is, child custom fields can only be associated to categories that the parent custom field is associated to. Since you'll have further options for two of the values from the parent custom field, you'll need to create two child custom fields. 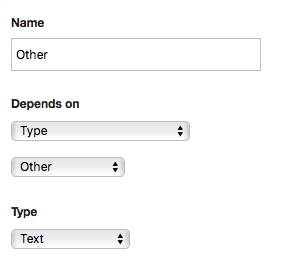 Now that you have "Type" as a dropdown custom field, the "Depends on" option will appear. 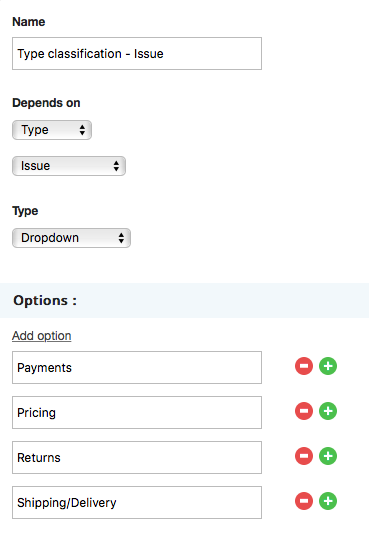 Under this, you'll need to first select the main parent custom field, and the select the specific option. 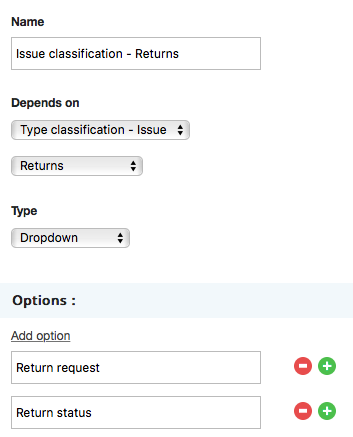 Now that you've got your first level of child custom fields set up, you may further classify into additional fields. Finally, this is how you'll be seeing and selecting the options of these fields in your tickets.